The first action of the Australian armed forces in the First World War was to capture or destroy German wireless stations in the Pacific. Within days of the outbreak of war, the Australian Naval and Military Expeditionary Force (AN&MEF) was raised to seize wireless stations in German New Guinea and the New Britain Archipelago. The AN&MEF left Sydney on 19 August 1914 and by 11 September 1914 had landed at Blanche Bay, Rabaul. There was strong resistance from the German forces with six Australians killed and four wounded – Australia’s first casualties of the War. At least thirteen local men were involved in ‘Rabaul Force’ as it was also known (see comments below for a list of their names). 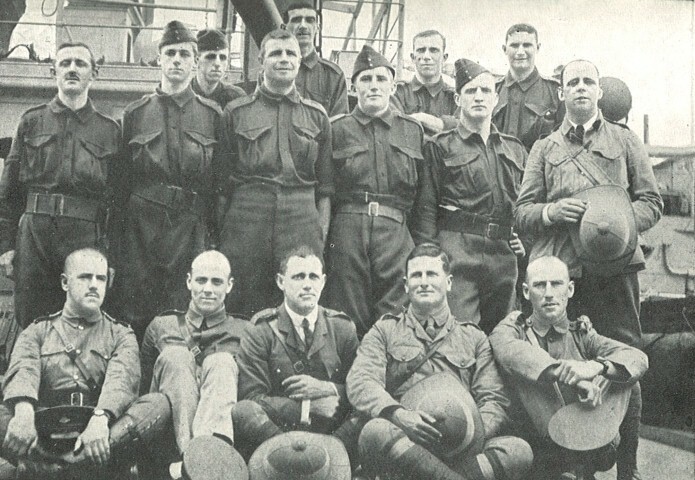 The photograph shows some of the University of Sydney men belonging to the AN&MEF aboard the HMAT Berrima, it includes Harold Lesley Henley from Drummoyne (centre row, second from the left). His Bible, which was used in surrender ceremonies, is held by the Australian War Memorial. For over 120 years the building has provided support to those in need of medical care, first as the Thomas Walker Covalescent Hospital, named in honour of Thomas Walker who bequeathed funds to establish it, and since 1979 as a special facility which focuses on the psychological health of young people and their families. 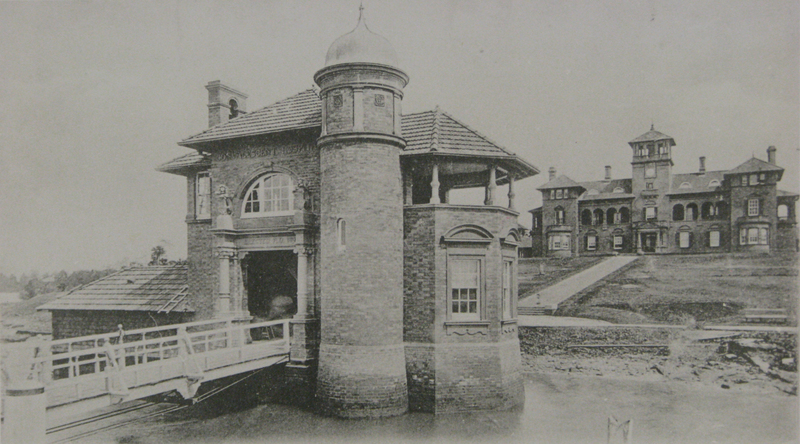 The photograph shows the Thomas Walker Convalescent Hospital soon after opening in 1893. The elaborate ‘Dutch Tower’ watergate has recently been fully restored. The open day will be held on 27 July 2014 from 9.30am to 3pm, for details contact the City of Canada Bay Heritage Society.